Q. 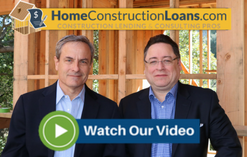 Is Arroyo Consulting Group and Home Construction Loan.com just a construction lender? Q. Why should I choose Arroyo Consulting Group and Home Construction Loan.com to help me with my project? A. Arroyo Consulting Group and Home Construction Loan.com is an industry expert. Our entire business model surrounds the construction process. From selecting builder and architect to getting the appropriate financing for the project, our firm is the one you and your family will trust to be with you every step of the way. Trusting the right firm can be difficult; there are many ‘Brokers’ or ‘Lenders’ that play at this very specific/technical field. All the more reason to be sure the partner you select in building your dream home is up to the task. Our knowledge and experience puts us in an unparalleled position to deliver success to you and your construction project. Q. What payments will I be required to make during construction? A. You will receive a monthly billing statement based on the amount drawn from your construction loan. You will be required to make at the very least an “interest only” payment based on the outstanding balance drawn from your construction loan, not the full loan amount. In most cases, your interest only payments are due by the 15th of each month. Q. How can I best estimate the total cost of my project? A. This is one of the most important steps in the process which is about to unfold. Making sure you have the right estimate of costs is crucial to your projects success. At Arroyo Consulting Group and Home Construction Loan.com we have a very specific and detailed way to analyze your project from a cost stand point to be sure building your dream home does not become a nightmare. We work with our clients making sure they have multiple bids in order to make a true and accurate ‘apples to apples’ comparison. One of the best ways to save money is to arrange for multiple bids on any given project, and our proven track record with this approach has delivered many projects on time and under budget. Q. What is a draw? A. 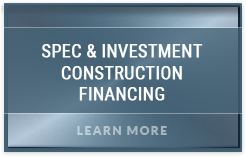 A draw is taking funds from your construction loan to pay for costs during construction. A construction loan works similar to a line of credit or even a credit card where you may request draws to pay for materials supplies and labor during construction. Also like a credit card in that you only pay for what you have used. Q. What if I own a home now and it hasn’t sold yet, but I want to start building now? Q. What if I still owe money on my land? A. The first draw of the construction loan is used to pay off the balance due on your land. Arroyo Consulting Group and Home Construction Loan.com will assist you in budgeting a construction loan amount to cover the remaining cost of construction or any down payment needed..
Q. What if I already have my Builder or Architect Selected? A. We work with clients on multiple levels, and each project has its own unique ‘finger print’. We welcome those who have already selected a builder or architect, in fact many times our clients come to us with one or both already in mind. As full service consultants our mission is to be sure you are getting the best quality at the best price, and we will review your Builder, Architect, and Budget to be sure your dream home is a success regardless if you have one already in mind or need one to be recommended. Q. How do I submit a draw request? A. The Draw Process will vary slightly depending upon which Lender within our Network we select. All of our Lenders have very simple to understand and easy to use draw request systems; with most of them wiring funds to an account of your selection within 3-5 business days. At Arroyo Consulting Group and Home Construction Loan.com we educate our clients to fully understand the differences with each Lender’s Draw Process. Q. How many draws will I be limited to for my project? Q. Where will my draw funds be disbursed? A. Draw funds are typically disbursed directly to the borrower’s checking account, or to the builder and borrower. Disbursement options will depend upon what the draw/advance is for, as well as, program guidelines. Q. Does Arroyo Consulting Group and Home Construction Loan.com only handle California Projects? A. No, Arroyo Consulting Group and Home Construction Loan.com is proud to work in all 50 states, though the Network of Lenders will vary drastically from state to state as will their overall guidelines. Q. What does a one-time closing program mean? A. A one-time closing program means your construction loan and permanent mortgage are combined into one loan. You have only one closing and pay one set of fee(s), in addition you will have the peace of mind knowing that you will not have to qualify again with income, credit, or appraisal documentation at the completion of your project. Q. How much of a down payment will I need to begin construction? Q. Does Arroyo Consulting Group and Home Construction Loan.com work with modular, log or post and beam homes? A. No, Arroyo Consulting Group and Home Construction Loan.com does not work with these types of projects. In the current market, manufacturers have placed too many and too stringent regulations/guidelines pertaining to their products that traditional lenders have lost their appetite for such builds. Arroyo Consulting Group and Home Construction Loan.com is happy to act as a sounding board for these types of projects, and will be happy to give recommendations for best practices when building these types of structures. Q. What if I change my builder in mid project? A. Most all project changes can be dealt with successfully; our team is here to ensure that any possible changes including builder changes proceed swiftly and smoothly. Q. Can I take a draw to pay for deposits on materials/supplies? A. Yes, as long as it falls within your Line Item you may draw against it. The amount of the particular line item deposit that can be drawn will vary on the guidelines of the Network Lender we select. Q. When can I convert into my permanent financing? A. 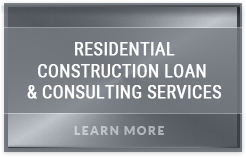 When you make your final draw request the following information is needed to convert your construction loan into permanent financing. Notice of Completion (per satisfactory final inspection and certificate of occupancy). Satisfactory pay history on construction loan. All appropriate Lien Waivers completed and signed. Final endorsement from Title Company. Paid and/or current homeowners insurance policy and property taxes. Q. What if I don’t need to borrow as much as I thought for my permanent financing? A. In the event your outstanding construction loan is less than what you have been approved for or if you have additional money available to buy down your loan balance, this is re-calculated at the time of rollover to your permanent financing. Your permanent financing will be lowered to the appropriate amount and your new principal and interest payments will be calculated accordingly. In the end any unused loan amount simply falls off of your permanent loan. 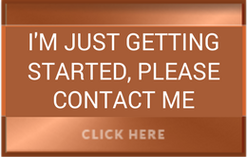 Q. I have more questions, how do I contact Arroyo Consulting Group and Home Construction Loan.com? A. 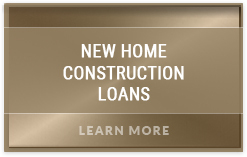 You may contact Arroyo Consulting Group and Home Construction Loan.com in any way you prefer. Our team is here to help you via e-mail, our website, or by calling our offices direct. Q. Is my Builder bound by my loan agreement with my lender? A. No. You and your builder will execute a construction contract. It is possible that some of the terms in that contract will conflict with some of the terms in the documents you will sign with the Lender. If so, it is your responsibility to discuss and resolve and potential conflicts with your Builder. Q. May I rely on my Lender’s inspections to assure my home is being completed in accordance with the plans and specifications and within code guidelines? A. No. It is important that you understand the provisions and specifications of your construction contract and monitor the work and completions yourself or with qualified assistance. The inspection completed by the lender or its agent prior to disbursing funds is made to confirm the approximate state of completion of the home. Since construction projects vary as to the percentage of dollars necessary for various stages, this is only an approximation. It is not the Lender’s duty, or is it the intent of the progress report prepared from the inspection, to report on the quality of workmanship, code violations and variances in plans and the materials used in the house. Q. How are progress reports prepared? A. Lender has determined from market data approximate percentages of the overall contract that should be allocated for various stages in the construction process. Lender uses these percentages in preparing progress reports. These percentages may not be exactly those used in your home, which will depend on the specific requirements and materials specified in your contract. The allocated percentages are totals to guide the Lender as to the approximate dollars that may be disbursed or should be held for completion. Q. What is a mechanic’s lien? A. A mechanic’s lien is a lien that may be filed against the title to your property by any contractor, subcontractor or material supplier who has not received full payment for work of material provided to the property. If the Lender is notified of the filing of a mechanic’s lien on your home, the Lender may choose not to make any further disbursements on your loan until the lien is removed or otherwise dealt with. If you choose to challenge the lien’s validity, you must deposit an amount to be determined with the Lender or with the Title Company before any further disbursements may be made. These funds must be in addition to the funds help by Lender for completion of your house. Q. What if the construction has not been completed prior to the maturity of my loan? A. In cases where the construction is not fully completed within the construction period, you may request an extension of the interest-only period from your Lender. If approved, a fee will normally be assessed and the construction period of your loan will be extended for such amount of time as determined by your Lender. Q. How do I deal with changes to the original plans, specifications and contract price? A. Changes to the construction contract are often shown as change orders and will amend the contract and may affect the overall contract price. You must determine how you will pay for any change before proceeding, as it will be your responsibility to pay your builder upfront for the change orders. As changes to the home may affect the value, your Lender should be informed of all change orders and the source of their payment. Q. What happens when the construction is complete? A. At completion of construction you and your Builder will usually conduct a walk-through of the home and note items to be completed on your “punch list.” It is essential that you both have a clear understanding of the time frame for the completion of such items. Generally your Builder will present a request for the balance of the funds to be disbursed after your walk-through of your home. Your Lender may require you to sign a final disbursement authorization at this time. On receiving these documents and the inspector’s notice of the completion of construction, the Lender will prepare to convert your loan over to the permanent loan or close the permanent loan if it is a separate transaction. Q. Do I need to insure the new home during construction? A. Yes. Even if your Builder has a Builder’s Risk insurance policy, the Lender requires you obtain a homeowner’s policy with a Builder’s Risk rider and an endorsement naming the Lender as mortgagee. This is to provide direct liability protection that might not necessarily be related to the construction and to assure there is no gap in coverage at completion.